The course will take place from May 15-29, 2013. The goal of OIBC will be to bring together scientists from a variety of disciplines to explore the value and potential pitfalls of 'big data' in the cluster of disciplines broadly defined as "integrative biology". 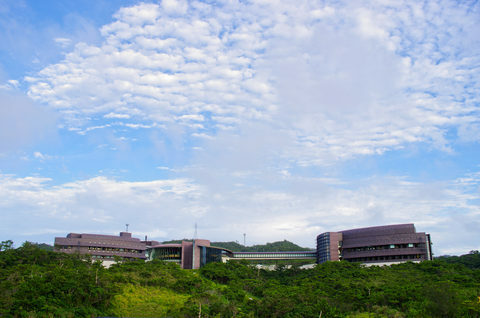 Participants will include OIST students and staff, along with 20 to 30 selected students from around the world (see here to apply). Every day the course will open with a three hour lecture, interrupted by two coffee breaks. After lunch, at the beginning of the course there will be several hours of tutorials, introducing useful computational techniques, and concepts. Whereas the focus of the lectures will be theoretical, the tutorials will be more applied. Toward the end of the course, the afternoons will be free to accomodate collaborative work on student projects, which will be presented by groups in the last two days of the course. The schedule will be tight, but exciting. In addition to lectures, tutorials and projects, every speaker will be asked to meet for informal discussion with a set of students, and every student will be required to talk with one or more lecturers. We will also hold two evening poster sessions. Posters will remain up for the duration of the course, facilitating discussion. We will have a day off for an organized excursion to Okinawa's Churaumi Aquarium and Nakijin Castle both located on the scenic Motobu peninsula.